I Am A Branders I am proud to introduce the first official release I've produced for 2011. 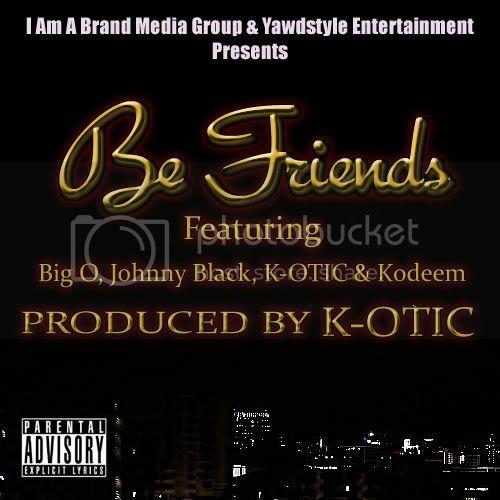 Be Friends which features lyrics from Yawdstyle Entertainment's own Big O, alongside super lyricist Johnny Black & Miami's own Kodeem is guaranteed to be one of the hottest singles of the year. Not only is this one of the best songs I've produced in my career, I even dropped an 8 bar verse. Feel free to listen AND show us some love by sharing and downloading Be Friends. Ladies... I See Your Body Working!! !